Summer is in full effect as I type and the heat, sun, and sweat are threatening to melt off makeup in minutes. Luckily for us, the right beauty products can have us looking fresh and primped without the drama of running mascara or sunburnt lips. Sun protection is a must everyday of the year but a high SPF is especially important for summer days. 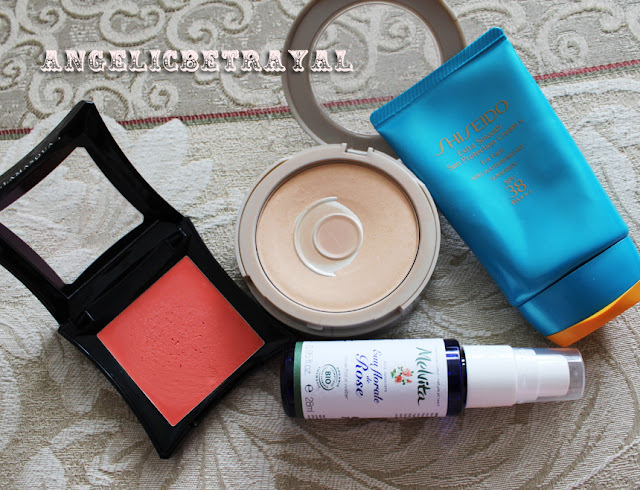 My favorite sunscreen is still Shiseido's Extra Smooth Sun Protection Cream SPR 38 PA+++. This sunscreen has an added fragrance which masks the usually icky smell of most sunscreens (I know, fragrance is usually a big no-no but I can overlook it if I really like the scent). 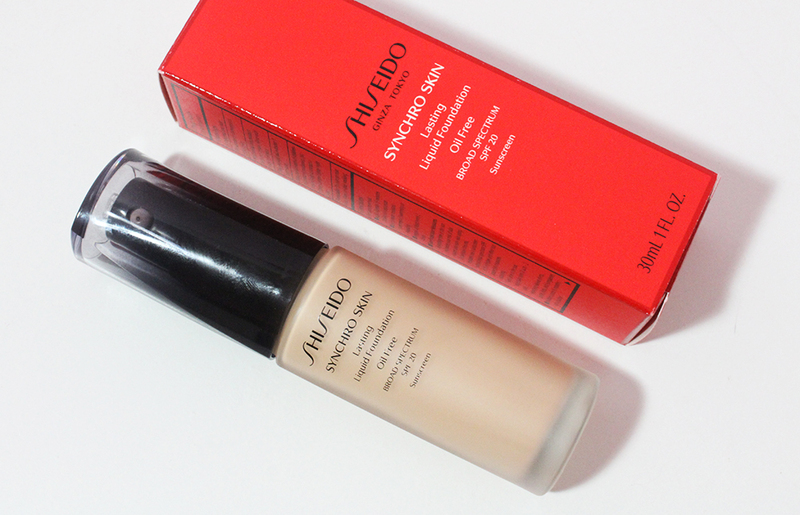 This sunscreen also makes a nice primer for makeup as it keeps my skin from getting oily. 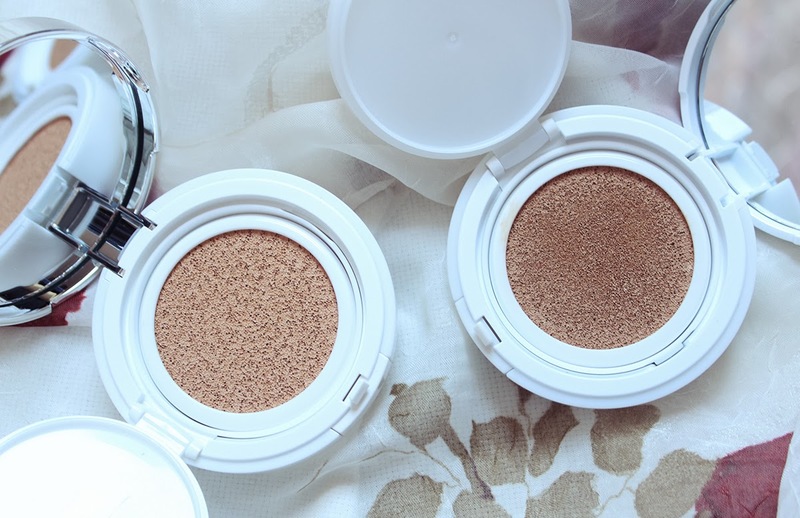 Instead of wearing heavy foundations, I like to use a concealer to banish dark circles and imperfections and top off everything with Neutrogena's Mineral Sheers Powder Foundation. As you can see by the large portion of visible pan, I've had this powder for about two years and it's been featured in past favorites posts. This powder does not look cakey but gives visible coverage and wears beautifully throughout the day. This impresses me more than Mac's Mineralize Skinfinish Natural to be honest because it has superior oil control. My face often turns a reddish hue when the temperature rises so instead of using pink or red blush, I opt for coral and orange shades. I love cream blushes for warm weather despite my usually oily skin and Illamasqua's Cream Blush in Rude does the job nicely. The orange cream blush blends into my skin effortlessly and lasts throughout the hot day. If my skin and makeup needs a bit of a refreshment, a few spritz of Melvita's Eau Florale de Rose soothes any irritation. I have been obsessed with rose scented skincare recently and this sample of organic rose water that was in my last Birchbox has been a staple in my makeup bag. My friends who are not makeup wearers or enthusiasts are often surprised when my eye makeup is still vibrant and neat after a full day of sweating in the summer sun. There is no secret really; I just use Urban Decay Primer Potion. Too Faced Shadow Insurance works just as well and if you're on a budget the E.L.F Mineral Eyelid Primer is just fine too. 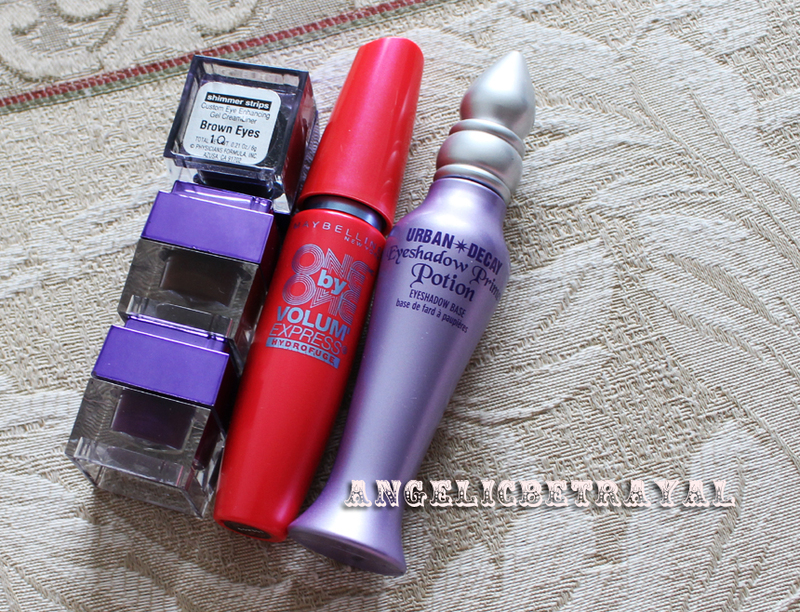 Priming your eyelids will do wonders, trust me. Pencil eyeliner is not the best choice for hot weather as it is more prone to smudging and running. I much prefer gel or cream liner and the Physician's Formula Shimmer Strips Custom Eye Enhancing Gel Cream Liners (wow, what a mouthful!) are great. Waterproof liquid liners also tend to be great for summer weather if you prefer that formulation. Waterproof mascara is something I can wear year round simply because waterproof formulas hold a curl much better than regular mascaras. But using a waterproof formula on your lashes is especially important in hot weather because you don't want humidity or sweat leaving pools of black under your eyes. I have had very good results with Maybelline waterproof mascaras and I am currently using and loving the Maybelline One by One Waterproof Mascara. On the lips I often like to wear lipgloss rather than lipstick because I want a lightweight, glossy pout. Lipsticks can be drying over time and too high maintenance. Too Faced's Glamour Gloss is one of my favorite lipglosses of all time but I especially love it in the summer because it gives the lips a cool, tingling sensation. The cooling sensation is perfect to trick your lips into thinking they are moist and incredibly hydrated. 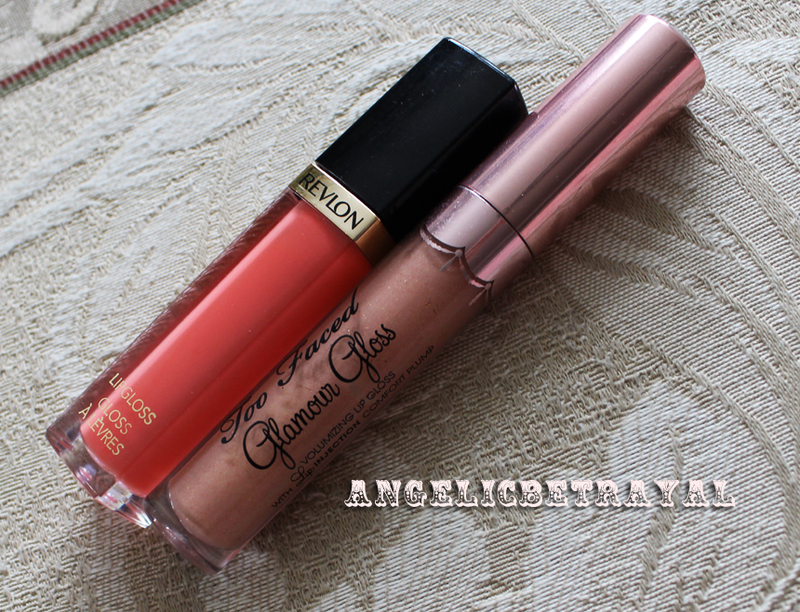 Revlon's Super Lustrous Lipgloss in Coral Reef is another hot weather favorite because of the added SPF15 and the super fun pop of color shouts summer without being too over the top. 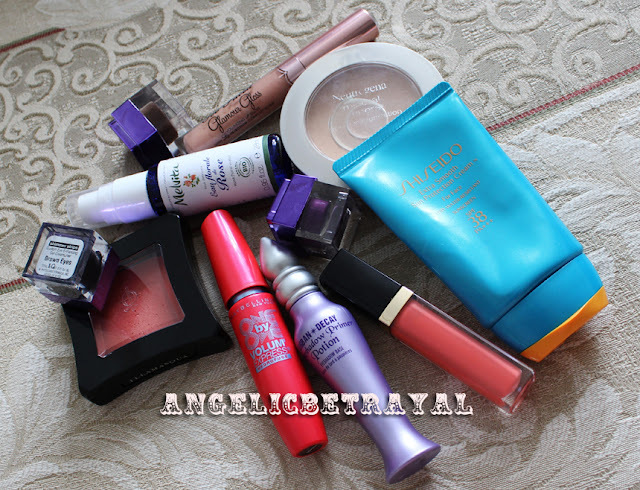 What are your favorite warm weather beauty products?